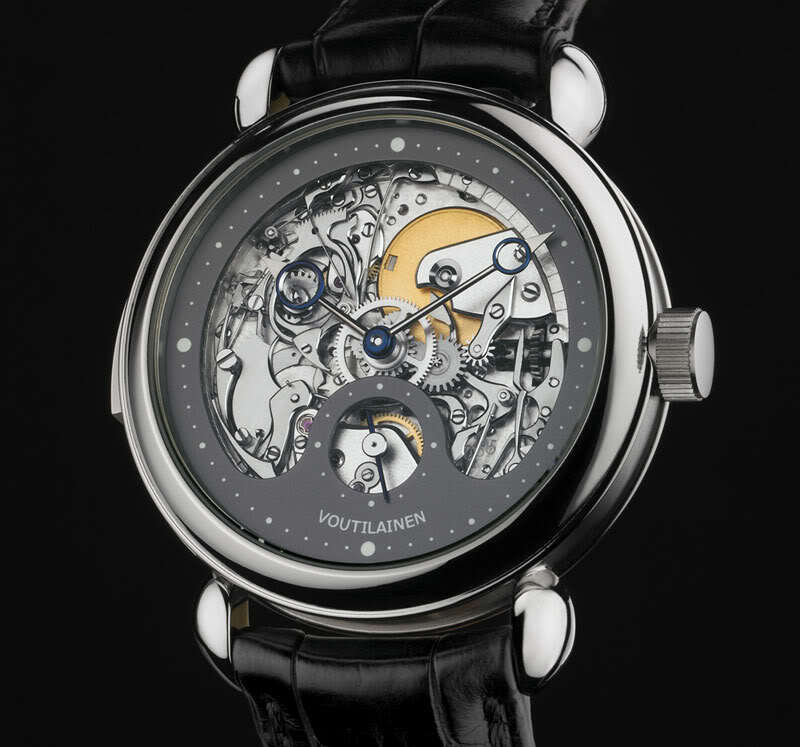 One of the most respected and talented watchmakers answers our questions! 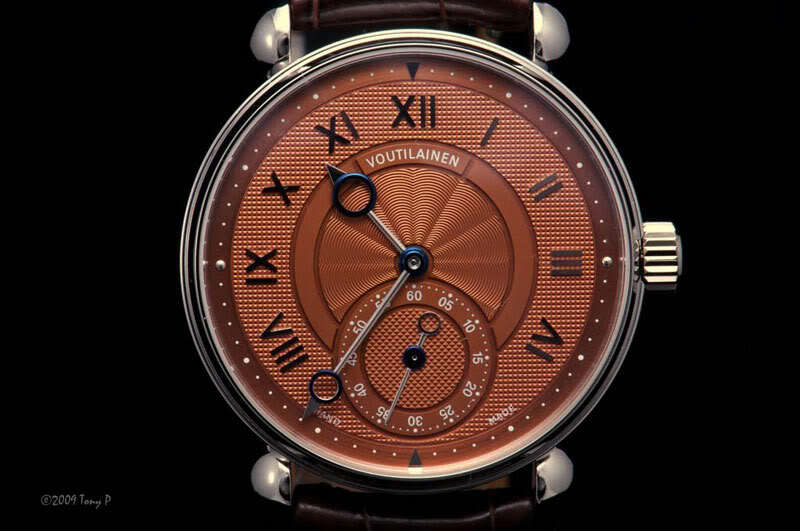 Kari Voutilainen is one of the most respected and revered independent watchmakers. 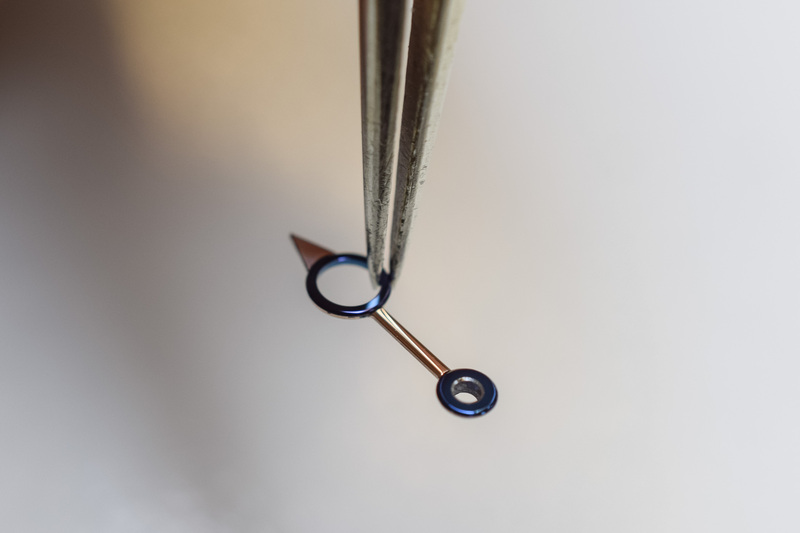 The watches of this Finnish-born master watchmaker (no more than 50 pieces per year) are crafted to a level that cannot be achieved in mass production. 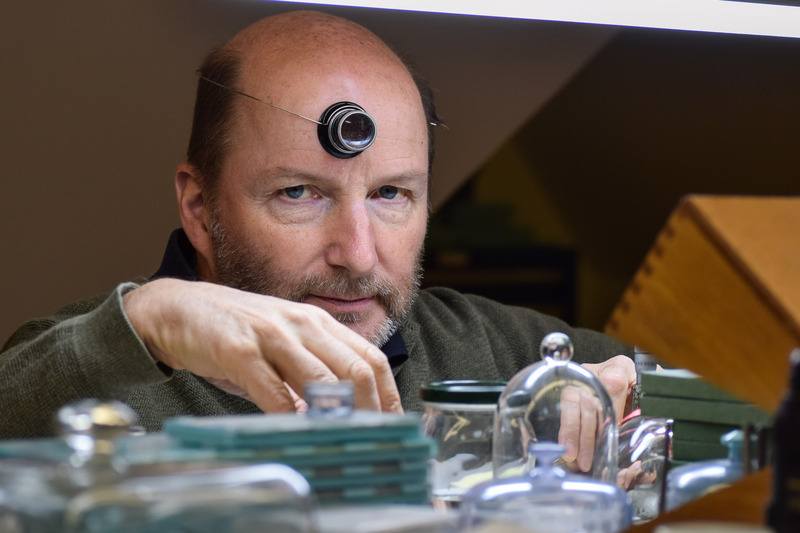 We climbed the steep stairway of his Môtiers workshop to meet the master and understand why he is determined to remain an independent watchmaker. 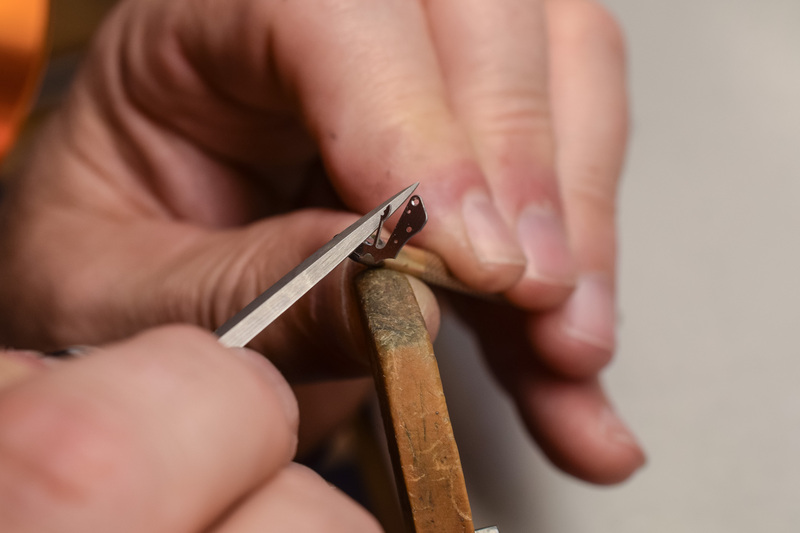 How did a Finnish boy become one of the most respected craftsmen in the entire watch industry? Among the main influences, one of my father’s friend was a watchmaker. He had a shop in our town, just next door to where we were living. When I was a kid, he was repairing and selling watches and clocks. I was captivated by his bench, his tools, the movements, the clocks hanging on the walls… I just liked the atmosphere there. After completing watchmaking school in Finland, I worked for a year in a retail shop in aftersales. That was in the north of Finland. But I wanted to learn more. And the only possibility to further my learning was to go to Switzerland and study at Wostep. This was the reason why I came toNeuchâtel in 1998. Then in 1999, I did a second course on complicated watches. Then I started to work at Parmigiani, in Fleurier. What drives you when you embark upon the creation of a watch? I am trying to do things that are useful. I want my watches to have a classic look, a clean design but at the same time, they need to be different. I want something new inside. I try to combine both. I like new things but not extravagant things. In addition to my ideas, the conversation with my customer brings a lot. 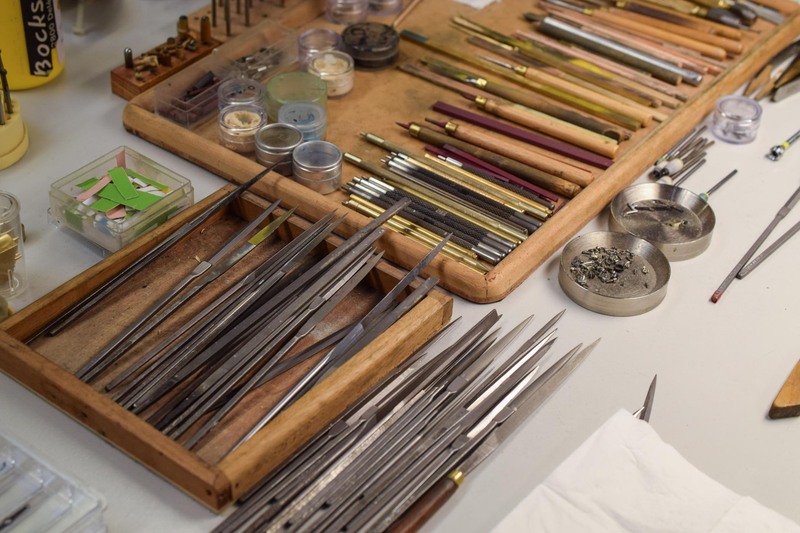 Are there any past masters or other watchmakers who inspire you? Naturally, I admire past masters like Breguet. But also I will mention a few watchmakers I have been working with. 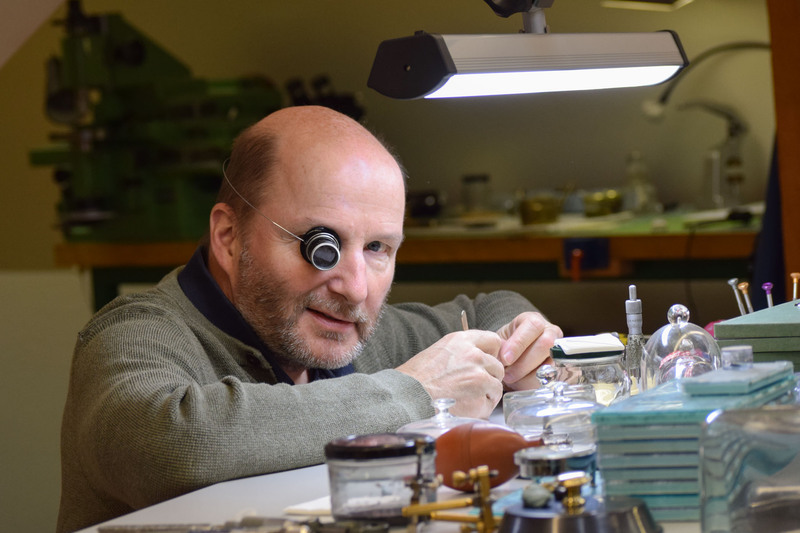 Among them is Richard Miklosch, a self-taught watchmaker, crafting watches only as a hobby. He was teaching metalwork in a school. He made beautiful pocket chronometers and tourbillons. I went to see him in Germany, and I learned a lot from him. Then, my first job in Switzerland was with Michel Parmigiani and as well with Charles Meylan. The latter was 70 years old, really experienced and he showed me a lot of old techniques. He encouraged me to craft my first watch. I am very happy with my workshop. Weare a small structure and team, no more than 20 people altogether and we are able to create our movements. 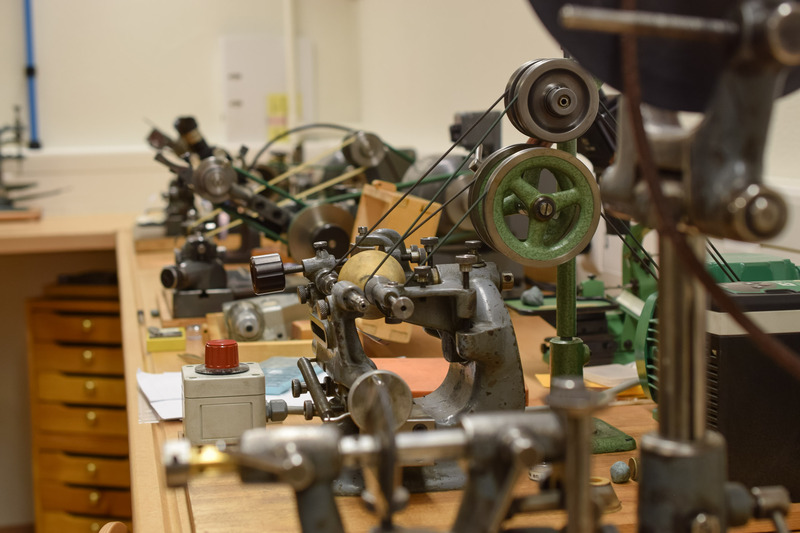 We are able to design the movements, the watches, craft the components, finish the movements, and assemble the watches… Last year we made 50 watches and 15,000 components with 880 different references. This gives us the independence, the freedom, allowing us to strive to do the best watches. We determine the quality, we do not depend on suppliers. What do you make in-house? Almost everything. We do all movement components, we make our movements, we craft our dials, we do engine-turning. 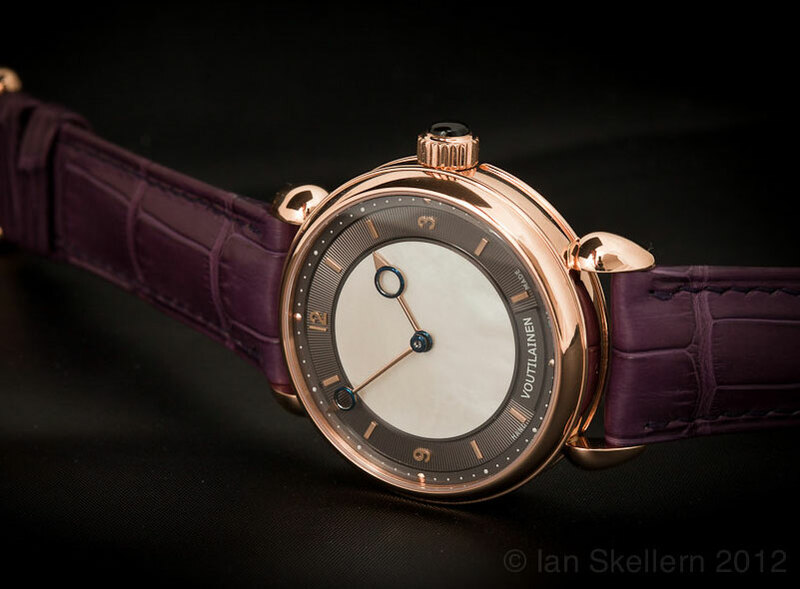 This year, I started to make cases in Le Noirmont (Voutilainen and Cattin). We do everything except hairsprings, mainsprings and jewels. 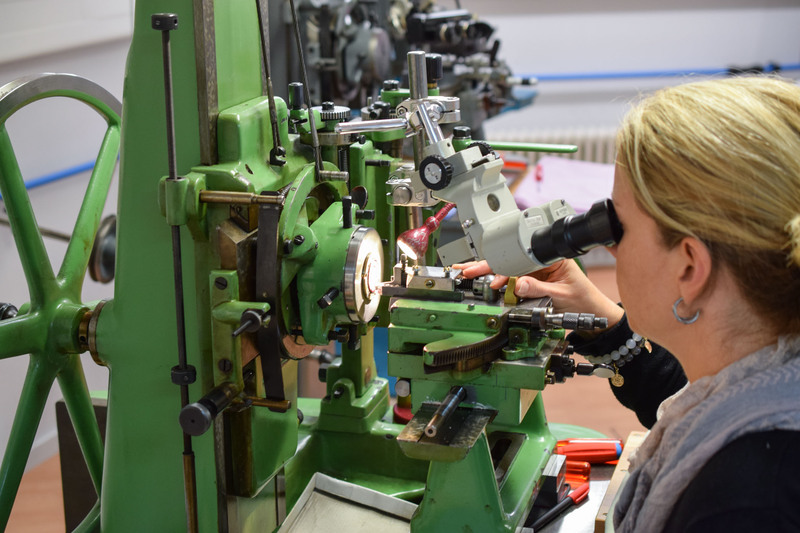 For hairsprings, we buy ébauches from Precision Engineering but we pin the collet, we count, we do the Phillips curve, etc… And for jewels, there is even one that we cut ourselves, the locking jewel of our escapement. This is simply something for which we have not found a supplier willing to undertake. What is your goal for the company? My ambition is not to grow in volume. I am looking instead at creating bespoke, special timepieces. We are getting close to what I have been dreaming about. Being flexible and doing crazy things for customers. I want to keep in control, stay independent. Today we have a family atmosphere, and I want to keep it like that. I have seen independents and companies growing fast, and suddenly things are changing. We should enjoy our daily life. Today this is what I am able to do just sitting at the bench. I prefer to keep it like that. We have 50 customers per year. Some of them I know already. It is a privilege to be able to meet these people. If you are doing hundreds of watches, this is impossible. Today I have no marketing and no sales team. This would change my work philosophy. Do you still work for third parties? Very little. In the beginning, it was important for me. To remain independent, the best solution was to split my time working for others, prototyping or doing restoration. The rest of the time was for me. Now I work for myself. 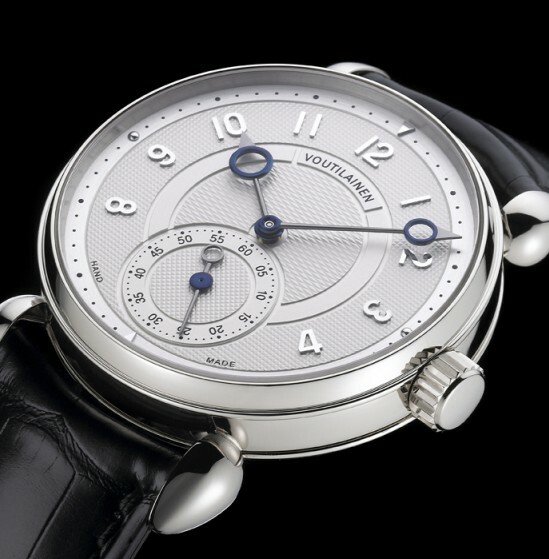 Comblémine, our dial manufacture is naturally another story. 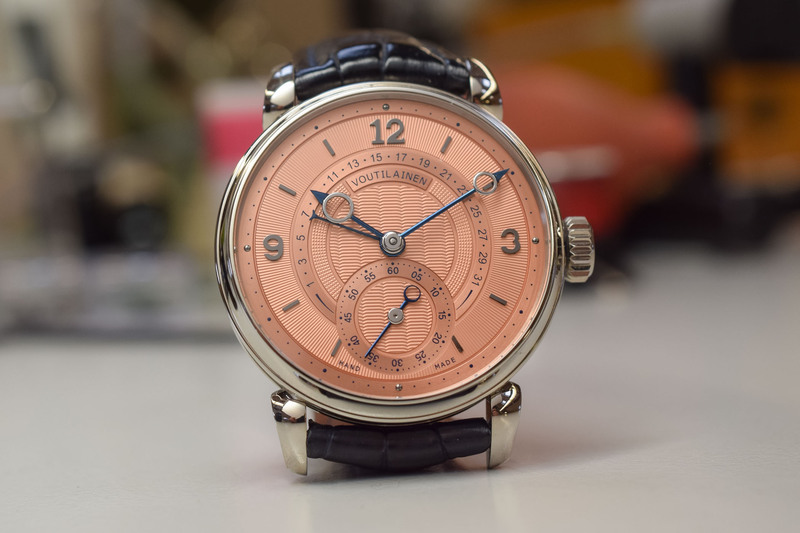 (Editor’s note: Comblémine is Kari Voutilainen’s dial manufacture in Saint-Sulpice, just a couple of miles away from his workshop in Môtiers. 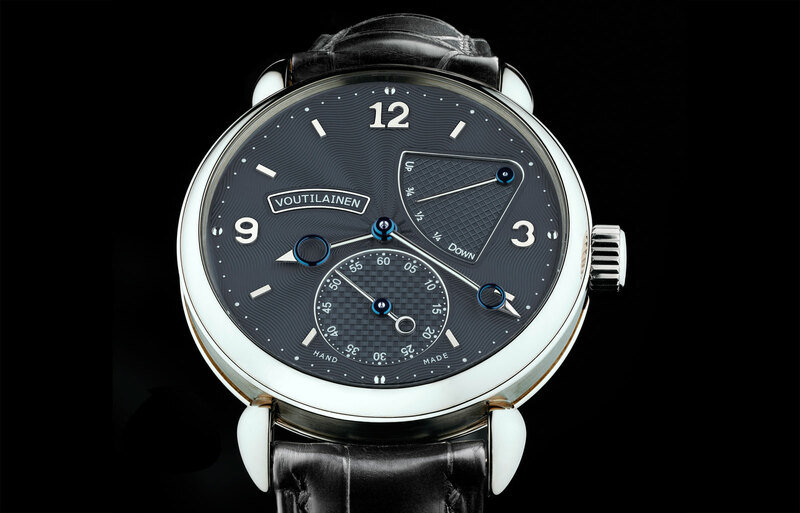 Comblémine crafts high-end dials for Kari Voutilainen and third-party brands, mostly independents). 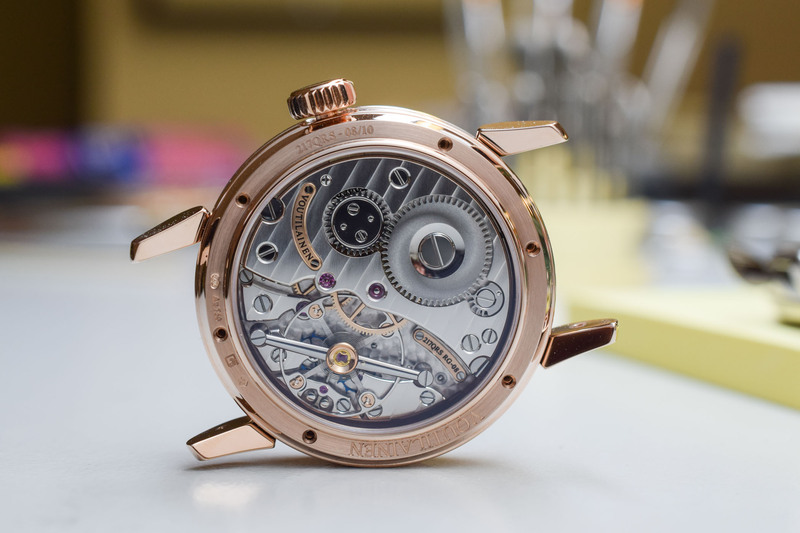 What is your take on the evolution of independent watchmaking? The position of independents has changed radically in these past 15 years. Not so long ago, the industry was ignoring independents, thinking they were just hobby-makers or trouble-makers. Today, things have changed. We can see that independents – those working the right way – are taken seriously by private customers and retail shops. Thanks to the internet, customers can see what we are doing. 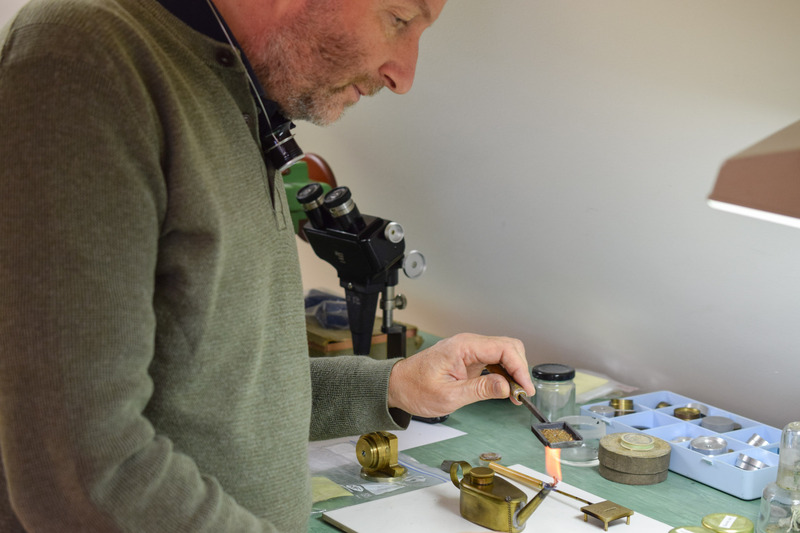 At the end of the day, there are human beings behind the benches, and sometimes with smaller companies, watchmakers are more motivated and see their work differently. It is positive, watchmakers are responsible for what they are doing. It is not always the case with large companies. How do you see the evolution of Baselworld and SIHH? I think SIHH will continue on the same track. The Richemont group is a big partner of the FHH (Fondation de la Haute Horlogerie organizes the SIHH). Baselworld has been changing much more, but it is a historical exhibition with more than a hundred years of tradition. It will remain the most important exhibition. Baselworld is big with hundreds of brands. Timetable-wise, the springtime is the perfect time to present watches. January is too early just after the end of the following year. Timewise it is very hard to organize for this. What is the main challenge facing the industry? I think we are living an interesting period. Everything is changing. We just mentioned the exhibitions. The evolution of the sale of watches is at a turning point as many brands are starting to sell online. It will be interesting to see what will be the future of watch distribution. I still believe that fine watches will be presented in front of a customer. The good multi-brand retail shops are truly valuable in this respect. When a customer walks in, he has choices, he can try on different watches. In case of any problem, customers can go back to the store and ask for support, for a new strap or handle a repair. The personal contact is essential. You do not manage this just with a click. We have a few retailers representing us. Here in Switzerland A L’Emeraude, The Hour Glass in Singapore, Manfredi, Cellini or Oster in the United States, GMT in Milan in Italy, or Aseman Kello in Finland. And we also sell directly to clients. Absolutely beautiful watches! Amazing, didn’t realise Kari was Finnish. Good article thanks. I didn’t know he worked at Parmigiani, or that his hairsprings came from Meylan’s PE. Very informative. Kari, even though I liked the Akrivia, I wanted your 217QRS to win at GPHG. Excellent watch maker sad that the common ma (me) will never get to enjoy even touching one in my lifetime. As in observing any great art only a few will ever own an example. Small detail… it should be “Aseman Kello”, kello means watch and kelo means old and dead tree what you can find in old forests. And asema means station, like rautatieasema is railway station. and aseman is genitive form for station. so stations watch or something like that could be the translation from Finnish to English. Thanks for the heads up Teemu. Edited!